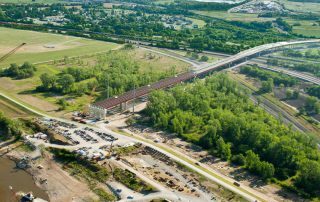 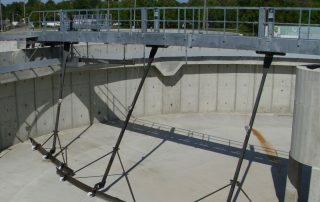 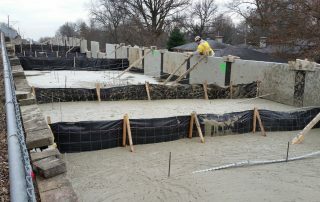 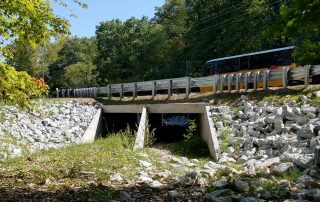 N. Point Prairie Road Bridge to Culvert Conversion - St. Louis Engineering Firm | Thouvenot, Wade & Moerchen | TWM, Inc. 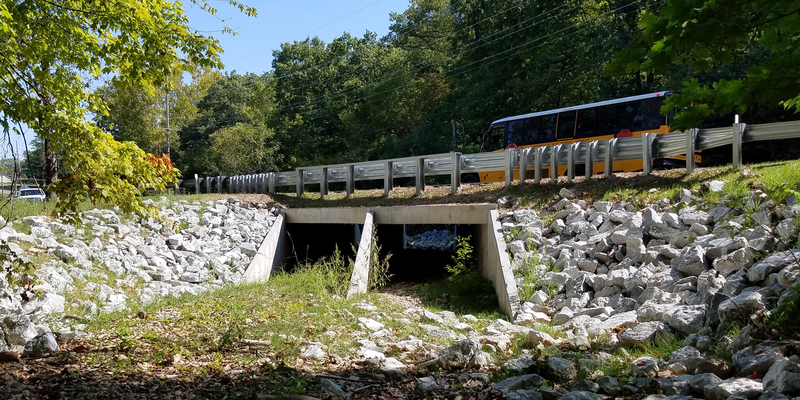 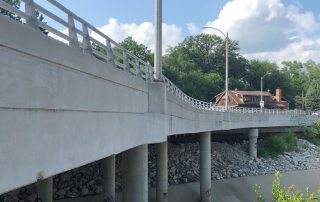 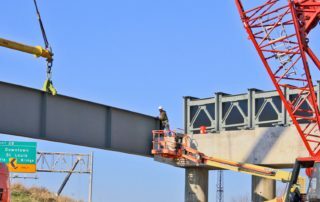 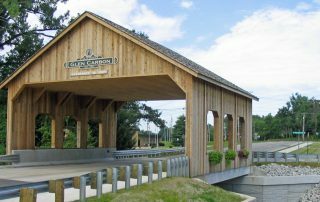 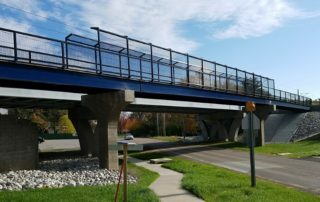 The County of St. Charles hired TWM to provide civil and structural engineering services for the widening and reconstruction of this structurally deficient and functionally obsolete bridge on N. Point Prairie Road in unincorporated St. Charles County. 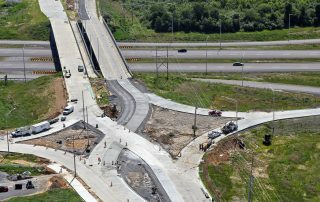 The purpose of the project was to increase the safety of the traveling public and to continue improvements aligned with the County’s Transportation Thoroughfare Plan. 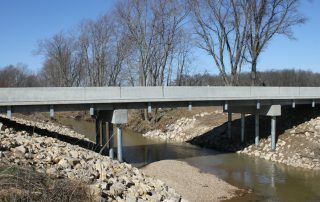 The project replaced the existing 16’ span steel beam bridge with a double 10’x7’ box culvert, approx. 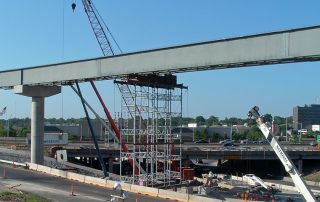 113’ long. 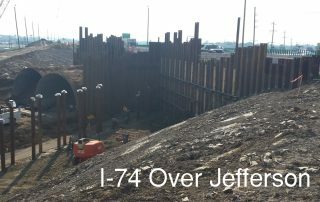 Hydraulics were completed in order to properly size the culvert for its given drainage area. 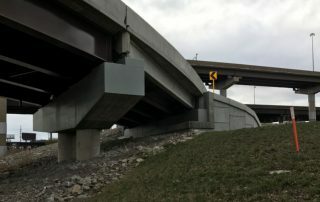 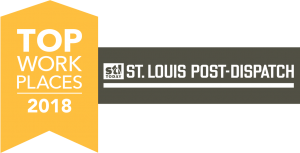 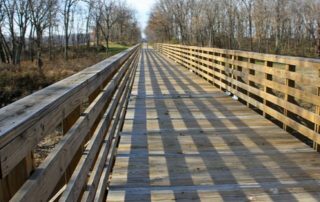 Initially a boundary survey was performed in accordance with current Missouri Minimum Standards and established based on research from St. Charles County Recorder’s Office. 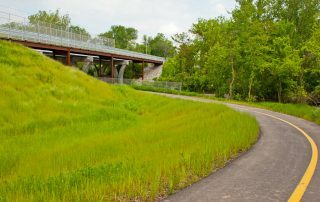 The topographic survey spanned the 150’ wide, approx. 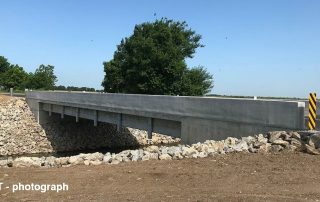 1,200’ long corridor along N. Point Prairie Road. 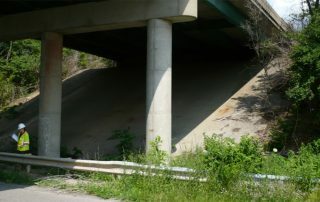 All improvements, ditches, and entrances were located as part of the topographic survey. 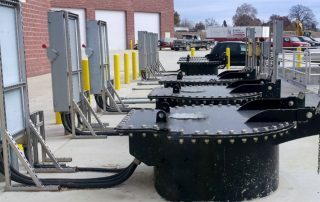 Data collected for the hydraulic survey was gathered at cross-section intervals established by TWM engineers for the HES-RAS analysis. 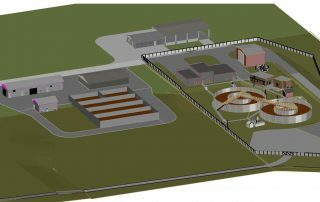 TWM also prepared acquisition documents and exhibits for additional easements and ROW to be acquired from adjoining land owners. 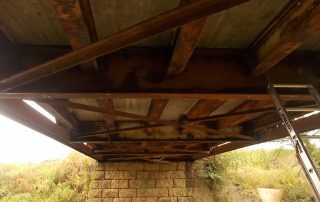 Visit our Structural Engineering page.